You are at:Home»News»Dog News»Did You Feed the Dog? 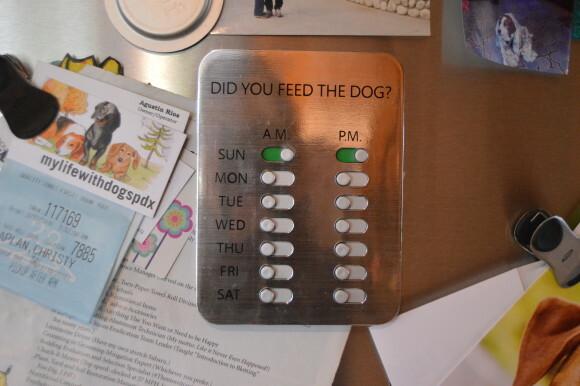 As a family owned and family run operation, the DYFTD reminder is a simple solution to a common occurrence in pet households. 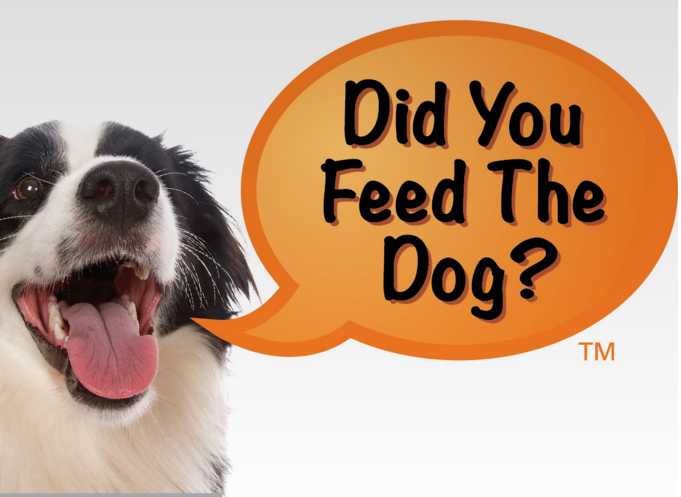 With mom and dad off to work at different times, and the kids in and out from school, it’s easy to loose track of Fido’s feeding schedule and who has been responsible for what task. It’s an analog device with appeal to those that may reminisce about a pre-app, tactile world. No batteries or extended training required and it assuredly complements your already stylish home. For just $9.95, this product will bring a little peace and quiet to your home as no one needs to bellow ‘did you feed the dog?’ anymore.